Talk: Heritage and Foreign Language Learners Together – Taking Advantage of Mixed Classroom. 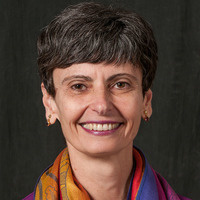 Prof. Gláucia Silva, from the University of Massachusetts Dartmouth, will have a talk on “Heritage and foreign language learners together: taking advantage of mixed classroom”. This presentation discusses some of the challenges that arise in mixed classrooms, highlighting approaches such as differentiated instruction (Carreira, 2012) and project-based learning (Carreira, 2018), which may be used to address specific needs of different types of learners. Lunch will be served at noon. The presentation will start at 12:30 pm.